One of the most important figures in the current flowering of Icelandic music is Hafliði Hallgrímsson, born in 1941 in the small town of Akureyri on the north coast of Iceland. He began playing the cello at the age of ten and studied in Reykjavik and Accademia Santa Cecilia in Rome. On returning from Rome, he continued his studies in London with Derek Simpson at the Royal Academy of Music and was awarded the coveted Madame Suggia Prize in 1966. The following year he began composition studies with Dr. Alan Bush and Sir Peter Maxwell Davies. On leaving the Academy, he remained in Britain, eventually making his home in Scotland on being appointed Principal Cellist with the Scottish Chamber Orchestra. Despite his success as a performer, the urge to compose became stronger and in 1983 Hallgrímsson left his post with the Scottish Chamber Orchestra to devote himself to this activity full-time. His catalogue includes instrumental, chamber and orchestral works and he achieved international recognition for the highly successful Poemi for solo violin and string orchestra, awarded the prestigious Nordic Council Prize in 1986 after winning second prize at the 1985 International Wieniawski Competition and the Icelandic Dagblaðið Visir Cultural Prize. 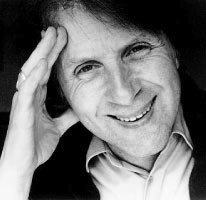 Poemi is the first in a series of works for solo instrument and string orchestra and has been followed by Rima (1993) for soprano and string orchestra, commissioned by the Olympics Committee for the opening of the 1994 Winter Olympics and premiered by the Norwegian Chamber Orchestra, and Herma (1994-5), a concerto for cello and string orchestra for William Conway and the Scottish Chamber Orchestra. The next in this series, a viola concerto, Ombra, commissioned by the Icelandic Broadcasting Corporation, was premiered in October 1999 in Scotland by Lars Anders Tomter and the Scottish Chamber Orchestra under Mikko Franck. Although he admits to some major influences, Hallgrímsson’s musical style is entirely original, showing a sensitivity to line and colour, shape and texture, not surprising from a composer who in 1969 performed one of his earliest compositions, Solitaire for solo cello, surrounded by an exhibition of his own drawings and paintings. Such involvement with the visual arts remains a key influence on Hallgrímsson´s musical style, and in 1996 he was commissioned by the Scottish Chamber Orchestra to write Still Life (1996), in conjunction with a specially commissioned painting by Craigie Aitchison. Aitchison’s work is also an influence behind Hallgrímsson’s largest work to date, the orchestral piece Crucifixion (1997) commissioned by the Royal Philarmonic Orchestra as part of the Maxwell Davies Millennium Programme of commissions. Recently there have been two commissions from the Northlands Festival in Scotland which have shown a growing interest in music theatre. Mini-Stories (1997) for narrator and ensemble sets translated texts by the Russian absurdist Daniil Kharms, and has since been taken up by the Caput Ensemble and the Hebrides Ensemble. Its deft evocation of a unique world of humour, nonsense and melancholy has been widely acclaimed by audiences and critics. In 1998 he wrote Ears Stretch a Sensitive Sail which was premiered by Evelyn Glennie and the Yggdrasil Quartet. The last five years have seen important premiers of large-scale works, such as Passia op. 28, a work for choir, soloists, orchestra and two organs, commissioned by the Arts Association of Hallgrímskirkja in Reykjavík to celebrate 1000 years of christianity in Iceland. A cello concerto op.30 ,commissioned jointly by Oslo Philharmonic Orchestra, Scottish Chamber Orchestra, Icelandic Symphony Orchestra. The concerto was premiered by it´s dedicatee Truls Mork and the Oslo Philharmonic at the Ultima Festival in Oslo 2003. A premier of his opera, “Die Walt Der Zwischenfalle” op.29, (based on texts by the russian absurdist writer Daniil Kharms) received 11 performances at Theatre Lubeck and Museums Quartier in Vienna last year, to a unanimously high critical acclaim. Mini Stories were also staged six times the same year, by Semper Oper in Dresden (Kleine Szene) to a full house each time. His latest composition, “Notes from a Diary”, op. 33, a major work for a viola and piano dedicated to the memory of Anne Frank, was premiered at the 33rd Viola Congress in Reykjavík recently and made a great impression. Future plans include performances of the complete set of string pieces for young players in three volumes (20 pieces in all) entitled, “Daydreams in Numbers”. A recording of Mini Stories for a C.D. And a C.D. including Ombra, Rima and Herma. New commissions include; a Double Bass concerto, a large scale orchestral piece, and an opera based on the short story; The Black Monk, by Anton Chekov. The story has been and adapted by Meredith Oakes into a libretto.